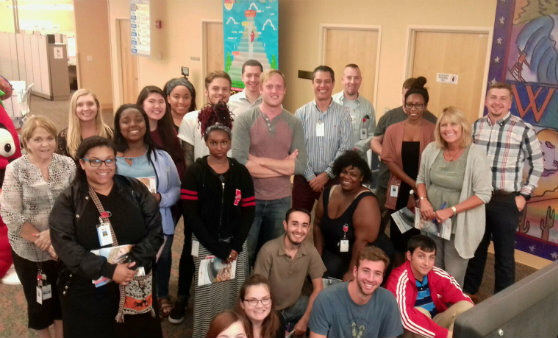 A Training Tour traveled to three of the timeshare company’s call centers located in Salt Lake City, Jacksonville and Indianapolis on August 7, 9 and 11. The Riviera Nayarit Convention and Visitors Bureau (CVB) together with the Puerto Vallarta Tourism Trust led a training workshop tour to three of timeshare company RCI’s (Resort Condominium International) call centers located in Salt Lake City, Utah; Jacksonville, North Carolina; and Indianapolis, Indiana on August 7, 9 and 11. The schedule, created by the Promotions and Sales coordinator for the Riviera Nayarit CVB, Carlos Eguiartem with representation from Puerto Vallarta’s Fidetur, began on Monday, August 7 in Salt Lake City, with a presentation for 60 sales executives. 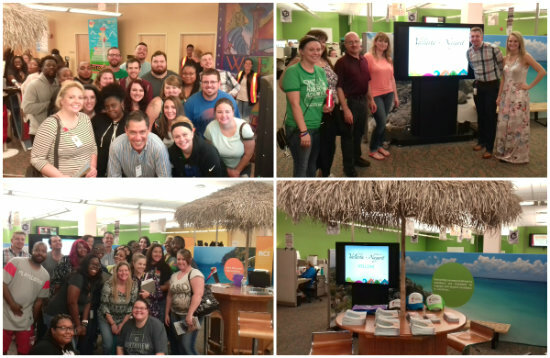 On Wednesday the 9th the team visited a call center in Jacksonville to update 50 executives. Finally on Friday the 11th the team visited the company’s most important call center, located in Indianapolis, to update 150 sales executives and offer them the most relevant information for the destination to help with their sales. These activities are of prime important because of the many RCI members in Puerto Vallarta-Riviera Nayarit, where there are currently over 20 hotels registered with their exclusive program. “RCI’s global network of over three million members allows us to attract tourists from other regions of the globe that are beyond our natural and emerging markets,” commented Marc Murphy, Managing Director of the Riviera Nayarit Convention and Visitors Bureau (CVB). RCI is the leader in timeshares with the largest network in the world, offering innovation in the market, cutting-edge products and unequaled services that improve their active members’ vacation ownership experience in over 4 thousand developments in approximately 100 countries. These are just some of the many reasons why every day more developments place their trust in RCI over any other company when offering their members vacation exchanges.